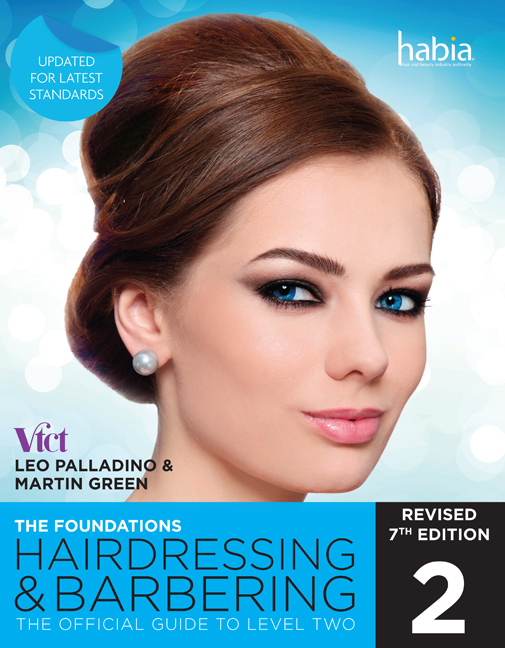 This revised 7th edition of Martin Green and Leo Palladino’s best selling textbook, Hairdressing and Barbering: The Official Guide to Level 2, contains everything today’s student needs to succeed in their Level 2 qualification. 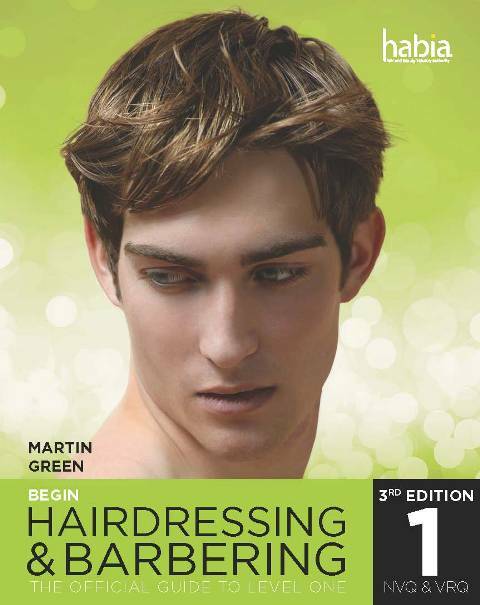 From understanding salon basics, achieving an effective colour and cut, to developing a career portfolio; this book has been updated with the latest knowledge to bring it bang up to date with current hairdressing and barbering industry requirements. Written in an engaging style, this updated edition combines the latest industry expertise with practical advice and information that will continue to inform and inspire the hairdressers and barbers of tomorrow. Endorsed by Habia, the Hair and Beauty industry authority. Suitable for all Awarding Organisations - suitable for all students taking any hairdressing qualifications. Content is mapped to current Hairdressing standards, ensuring relevancy for today’s student, helping them to pass the current examination requirements. Clear Learning Objectives aid independent research and learning. Packed full of step-by-step photographs that highlight key processes. Multiple choice questions at the end of the chapters help prepare for assessment and summarise content covered. Top Tips, Health and Safety, Best Practice boxes feature within all chapters to help further understanding. Glossary of key words at the back of the book ensures all key words are defined and easy to locate. Part 1: GENERIC SALON SKILLS. 5. Promote Services and Products. 7. Shampooing and Conditioning Hair. 8. Style and Finish Hair. 9. Men's Styling and Finishing. 10. Setting and Dressing Hair. 11. Adding and Extending Hair. 14. Trimming Beards, Moustaches and Sideburns. 15. Basic Hair Patterns and Designs. 17. Perming and Neutralizing Hair. Fully revised and updated text for today’s hairdressing student studying at Level 2. Mapped to current standards, using the terminology of today. Fully endorsed by a leading awarding organisation to add credibility. Straightforward, down to earth and easy to understand accessible for all Level 2 students.